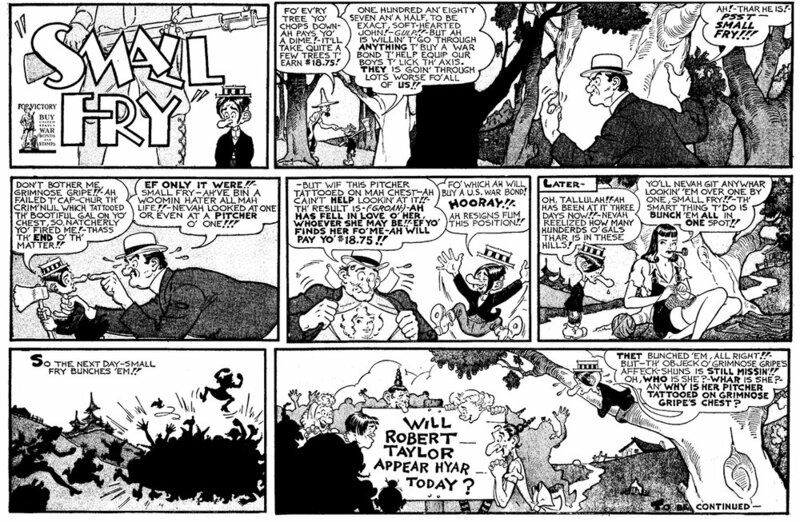 Early in 1942, when his Li’l Abner was not yet eight years old but was already a monument in American life and letters, faithfully followed in every hamlet and valley of the nation, Al Capp came to the decision that he would neither put Abner Yokum into military uniform nor permit the horrors of war to intrude into peaceful, happy, unfretful, undarkened Dogpatch. His public rationale, stated in a letter-to-the—reader strip that July 4: “Perhaps this small section of our daily newspaper can do its part best by helping us to remember that a free world once did exist-and will again! !” Still, in 1942, a good citizen wanted to contribute something material to the war effort. 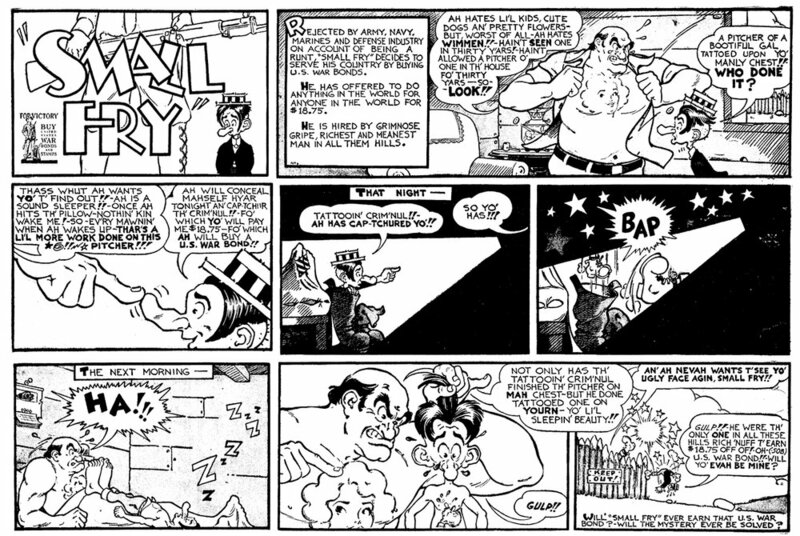 And perhaps it is ungenerous to posit that Capp might have been smarting at the public attentions showered upon his hated onetime employer Ham Fisher, creator of the equally popular Joe Palooka, who had signed Joe up in the Army more than a year earlier, thus sparking such a wave of enlistments that President Franklin Roosevelt himself had hailed both Fisher and Joe as the greatest of patriots. By war’s end, more than 85 million Americans had bought more than $185 billion worth of what by then were known as Victory Bonds. 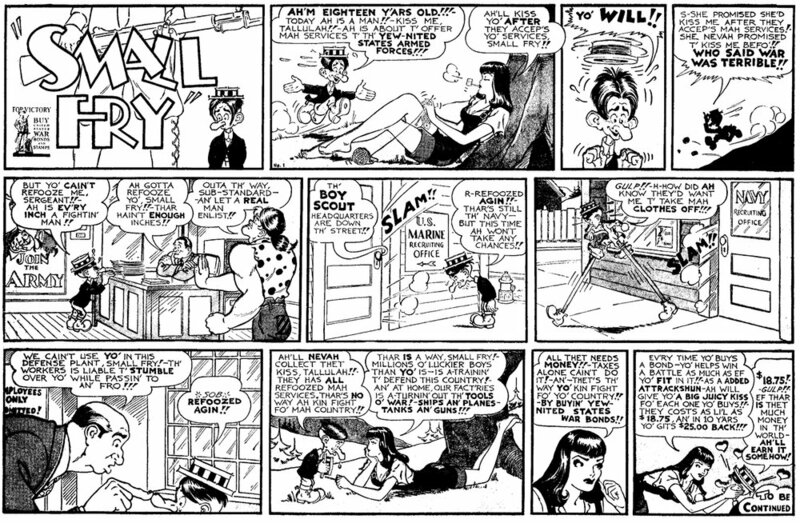 It cannot be guessed how many of those Al Capp had a hand in selling. 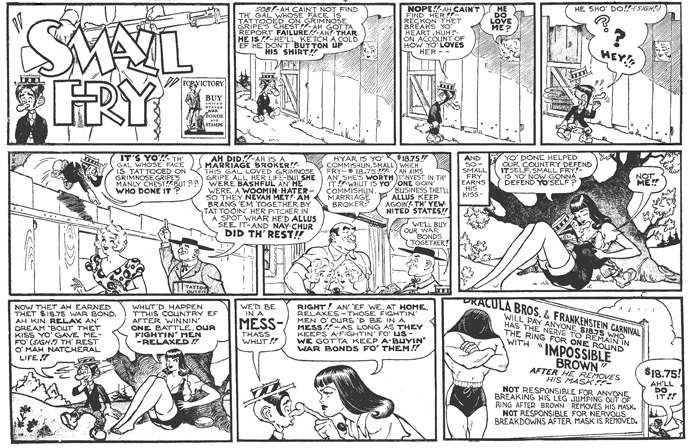 Certainly Small Fry—soon efficiently retitled Small Change1 (“It don’t matter how MUCH or how LI’L yo’ invests—EVEN SMALL CHANGE WILL DO IT!”)—was seen by many millions of comics readers through most of the war, appearing every two or three Sundays in as many as 120-plus cities. Certainly it’s a good bet that some of those readers were encouraged to spring for a double-barreled bargain or two. 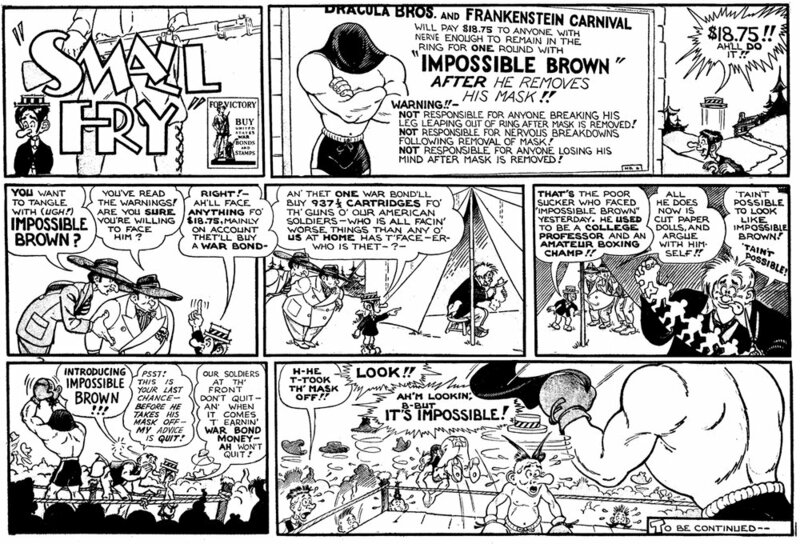 This article originally appeared in issue 12 of Hogan’s Alley. To buy a copy of this magazine, click the image at the right.